There’s nothing more magical than your wedding day. The love, the occasion, the atmosphere; it all comes together to produce a truly spellbinding day. But for those who want a little bit more magic to their day, why not add in a little “Harry Potter”? Bring back childhood memories of reading the books or watching the films by bringing a little bit of Hogwarts to your wedding day. 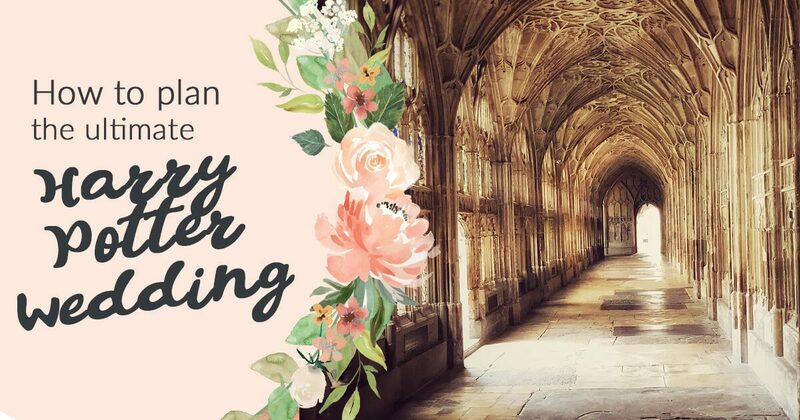 Without further ado, here are our Top 10 Harry Potter Wedding Ideas. 3. Choose a suitably magical wedding venue; perhaps inside a castle like the Great Hall at Hogwarts, or a marquee reminiscent of Bill & Fleur’s wedding. We’ve saved loads more magical ideas to our “Harry Potter Pinterest Board” – click the link below to follow the board! Follow James’s board Theme: Harry Potter | Wedding Inspiration on Pinterest.